State of the Map US is the annual conference for all OpenStreetMap users. 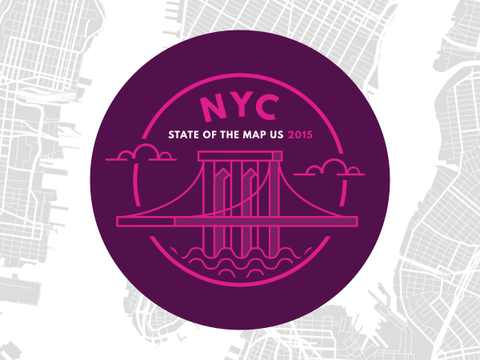 This year, 2015, State of the Map US was held for 3 days June 6 - 8 at the United Nations Headquarters in New York City, and was considered the largest OpenStreetMap event ever in the US with 834 people registered from 41 countries. The conference had a variety of exciting sessions with talks, workshops, hacking, mapping parties and meetings all around OpenStreetMap. The Ugandan Mapping Style was a 5 minute lightening talk highlighting some of the key activities and projects of mapping day Uganda, as mentioned ".....mapping day is what you call here a mapping party. We prefer to call it mapping day in Uganda. And it's really working for us, because the university students really do some good mapping. So I've done this in all the universities in Uganda, and you can see the community is growing." It was a big experience to meet the wonderful OSM community, and for them (the community) to learn and know about the activities of mapping day Uganda. The lightening talk also featured Dar Raman: a project for flood resilience in Dar es Salaam, by the Humanitarian OpenStreetMap Team. Tanzania, as one of the fastest growing cities in Africa, faces challenges due to unplanned settlements. Some of the areas where there are currently no maps are the most affected. So by using community mapping to try and solve this, University students in collaboration with Community members are engaged, to show and teach them how to map, in doing this, they're sending a message to the government, saying that we also exist, and we need help when there is flooding. Watch all the session videos, browse more talks, on the program page at the Stateofthemapus website.